I got my mason Jars! Finally everything can start! 6- 1.5 Liter, 12- 1 liter, and 12 small(not sure the amount). Hopefully this will be sufficient amount of jars for all my products and food. At last I can start, the weeding out process! Starting in august when I get back from my family vacation, the purge will commence! I will start slowly replacing old products and their plastic packaging as they run out! First stop, toothpaste and body wash, both wont last out the month. The toothpaste should be interesting to get used to, I’m not expecting it to foam like normal toothpaste, and it will definitely taste different. here’s hoping! So useful, yet so bad for us. Practically everything seems to have some sort of plastic in it or around it for packaging, It’s hard to get away from it all. There are many reasons to switch to zero waste or natural products, in an attempt to avoid it. I’m going to explain a little bit about why you should avoid plastic. Can it be properly recycled? No not really, when you recycle a plastic bottle from that juice you just drank, it gets melted down and reused for something completely different, not remade into another plastic bottle, The term recycling when talking to plastic is not really true. They still use virgin plastic for things like pop bottles. It is definitely something you still want to “recycle” though instead of it going into a landfill. It is also a lot more complicated that just all plastic lumped together. there are so many different kinds that some of it probably still gets thrown out because it cant be used again. SO much plastic and other garbage ends up in the ocean where it will harm sea life in all aspects, It will sit on the ocean floor and never disintegrate. A lot of people are probably thinking, well I already have Tupperware and plastic water bottles that will last me a long time so why should I buy all new stuff that’s stainless steel, glass or wood? Well in my opinion, everything dies eventually, yes your plastic containers will last you a while, but how long? a couple years maybe? Eventually you will find an excuse to throw it out, it’s looking old or got cracked or whatever. Why not switch when you get a chance and give your old stuff away to someone who might need it, before it’s done? Wouldn’t it be nice to not have to go to the recycling depot every other week? or even have to put your recycling/garbage out to the curb every week? why not cut down on waste and even recycling. It save you time and money in the end, and always helps the environment. This week I spent pretty much ll my free time making reusable bags, I now have about 5 produce bags and 2 bread bags, and 3 Ziploc bags( still need liners). I swear my finger will go numb from all the sewing! 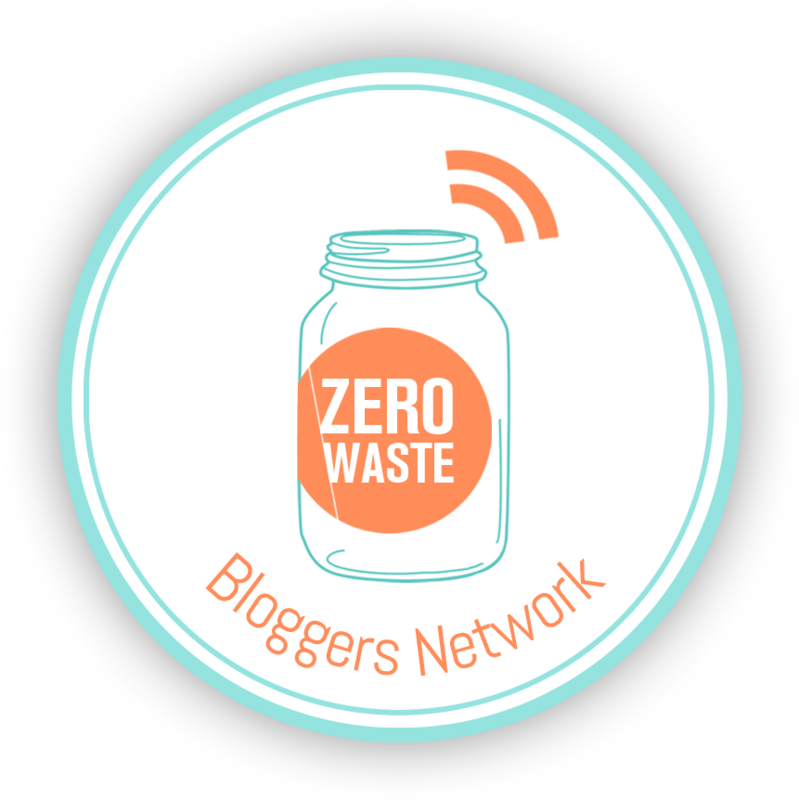 I am proud to say I made pretty much zero waste! I used old t-shirts I had lying around, I even used the sleeves and other scrap bits to make another bag by stitching them into a square. It’s not as pretty as the other bags but it is still functional. Also I did an almost waste free or I guess less waste than normal, grocery shop. I was a couple produce bags short, as well I realized a few of the things I buy I will have to find another solution for, Because we don’t carry it in bulk here in town.my 2 issues were for frozen fruit and quinoa (of all things). I will have to start buying fresh fruit eventually and freezing it! this will almost be better though because all the mixed bags come with blueberries, of which I am not a fan. The quinoa I don’t buy it very often anyways so it might not be a problem. 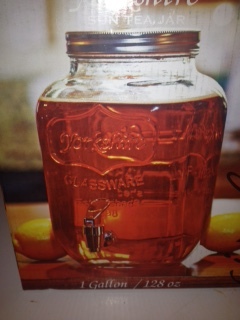 I am looking forward to getting my mason jars this week! and hopefully more of the stuff I ordered will come in too! The start up for this is looking kind of expensive, it seems like I will be going against what I am trying to do by buying a whole bunch of products! Its also adding up on the credit card quickly. I have to remind my self that even though I am spending a lot now, it means I won’t have to keep buying products later. 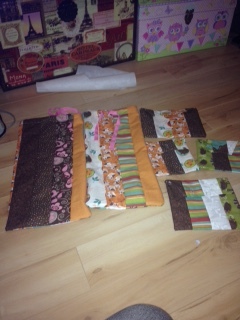 This might be the hardest part for everyone when starting a project like this, there is so much! everything in my house needs to be replaced or changed. It is getting to be overwhelming. my advice is to plan it out and do things one at a time. As you run out of something, make it instead of going out to buy it, eventually things will all become how you want it, one at a time. Here are some of the things I made already with stuff I had around the house! I made 2 reusable bread bags, and 4 sandwich/snack bags so far, I still need some rip stop nylon for the inside and some buttons. looks like i will be heading to the thrift shop! these didn’t cost my anything to make, I had the thread and fabric from Christmas. I also bought my self a stainless steel water bottle! no more plastic bottles for me! 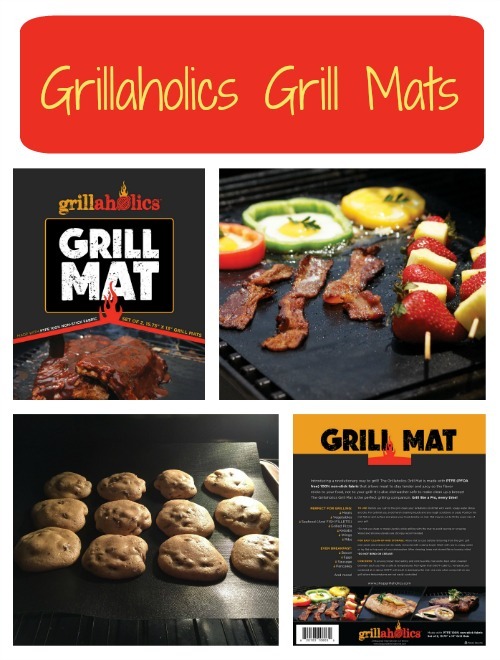 my grill mats and reusable cotton pads (for taking off makeup and other bathroom needs) came in as well! these will be great for replacing parchment paper/ tinfoil when cooking and baking! I am still waiting on a few more products to come in, I will be posting pictures as soon as I get them! Yesterday I went to the Local Health food store to find products that I needed. I had some luck on my side! I found pretty much everything i was looking for and most of it in bulk sizes too. now that I know I can get it all here I can start making products, I found a great glass dispenser for the liquid detergent and a jar for the dish washer powder. Now I just need to use up what I already have and I can start on those. I also went in search of recycled toilet paper. I did find some but not the kind I was looking for( the kind that comes in a box and every roll is wrapped in paper instead of plastic.) I’m not sure if it will be worth it to order my toilet paper online, that seems crazy I know! but it might be worth it in the end who knows. It is definitely something I will look into. In a couple days I will be able to buy hopefully all the products I need to get started! 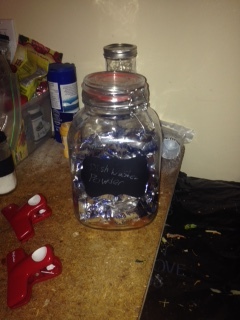 The first step for me in this journey to green, is to make a list of everything I need to get, jars products, etc.. The unfortunate thing about living in a smaller town, is that there are not a lot of options, there is only 1 health food store, 1 farmers market, that consists of about 4 kinds of veggies, and most of the shopping is done at Walmart. Today I am going to the health food store to see if they carry any of the things I am looking for. That includes, bamboo toothbrushes, Castille soap, Activated charcoal, vitamin E oil and Recycled toilet paper. Next I will go to Walmart and the thrift store to see if I can find jars and bottles for my newly made products. Anything that I can’t find I will be ordering online! The first product I am going to make is body lotion, seeing as how that’s the next product I am almost out of. I am planning on using up all my old products first before making my own stuff. The journey to become completely green is going to be long and frustrating, but I think it will be totally worth it! Well it all started when I saw a video about how a girl had a small mason jar filled with all the garbage she used in the last 2 years! That’s it, all that crap in one little jar, how you might ask? by going green and living cleanly. I have been seeing a lot of posts like that and I love the idea of making my own products. So i decided to start! Today I began by making a list of everything I wanted to make, beauty and cleaning products mostly, and all the ideas I have for things I can do to reduce waste and emissions. Each time I post I will (hopefully) have a new project or product to show you that I made or incorporated into my life! The biggest challenge I will face is by boyfriend, I don’t think he will want to bother, he already doesn’t like recycling, and that’s only the basics! Never the less I will prevail! Tips and tricks for integrating other options into the home. Well I am off to the store to go buy some ingredients for my new all natural products!